"Everything fears time, time fears the pyramids." 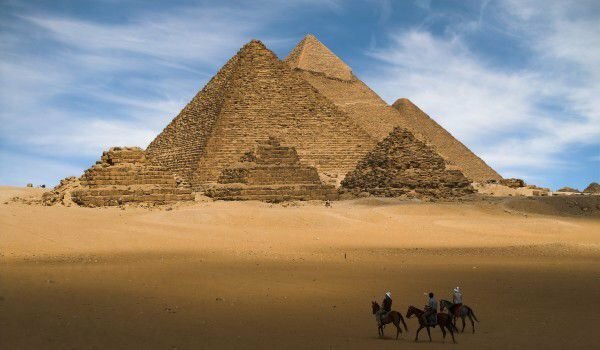 This thought strikes each stood before the grandeur of the Egyptian pyramids. The most amazing buildings in human history were built approximately around 4600 years ago. Among them stands one of the last survivors to this day wonders of the world, the Great Pyramid. According to Egyptian mythology, in this magnificent building should be preserved for eternity the mummy and treasures of the then ruler - Cheops. Some modern scholars believe that building there was for quite a different purpose than the common version. Others even believe that this was a giant machine for the production of excess energy. One of today's consistently tantalizing questions: How can people who have had only stone hammers and copper chisels build such a huge building? 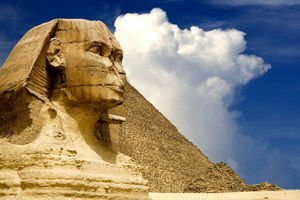 According to ancient legends, Egyptian people inherited their incredible knowledge in ancient civilization. 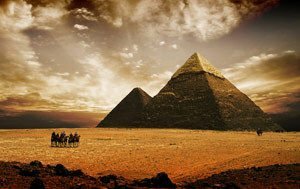 Unfortunately, very few reports have reached us, of how the pharaoh built the largest pyramid in the world. According to information disseminated, Egyptian priests told Herodotus that Cheops was a cruel tyrant. When he took the Egyptian throne, he brought misery to the country and forced everyone to work for him. Another prominent historian named Diodorus does tell us that people hated the ruler so that they threw him in the mummy's tomb. 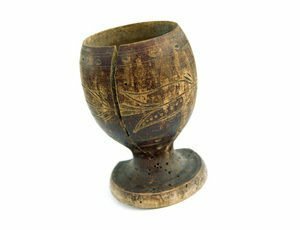 Indeed, when the first treasure hunters penetrated into his tomb the sarcophagus was found there empty. 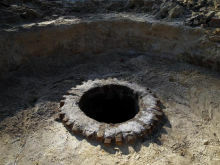 There is another unsolved riddle on the construction of the ancient giant. If it was just the tomb, why was necessary the incredible mathematical perfection of both project? According to modern theories, the pyramid is a scale model of the globe. Parallel and meridian, which intersect with it go through most of Earth. Therefore, it appears that it is located in the center of the Earth. 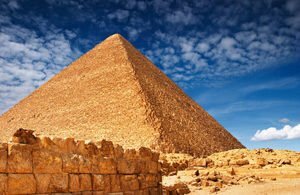 While there is still much work needed, data archeology, mathematics and other sciences lead to the conclusion that the Great Pyramid is an impressive facility for capturing a mysterious energy field. According to another theory, the pyramids at Giza are arranged like the stars in the constellation Orion. Researchers have many theories on the construction of the world of the ancient giants of the desert, but no exact answer to this day. These magnificent facilities survived millennia, and remain vigilant to keep their secrets. And we still only hope that soon a great mind will be able to unveil the mystery of the greatest surviving wonder of the world - the Great Pyramid.